This is a postcard they gave us when we left. exactly look like this, was a pretty good place to have dinner. 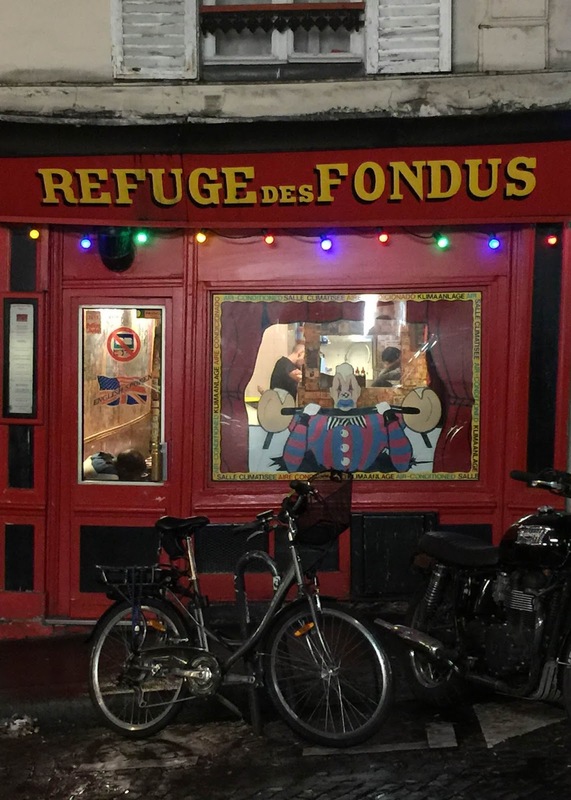 They have several three-course Prix-fixe dinners, but when we turned the page, we fell for the possibility of fondue. 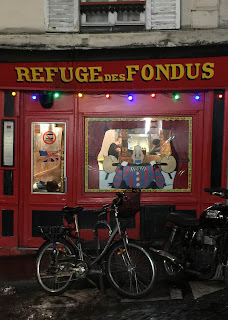 The last time I can remember having fondue was when I was allowed to have a party in high school and fondue was on the menu. That was in the late 60's, and the trend lasted into the 70's, because I'm sure we got at least one fondue pot as a wedding gift for my first marriage. But I'm not sure we ever used it. 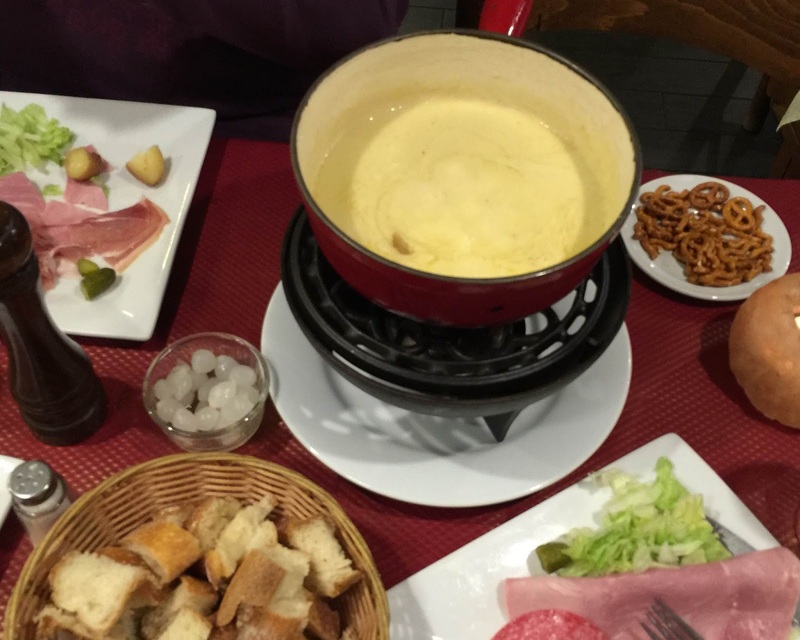 Tonight's fondue was excellent. Three kinds of cheese, hot and melted and ready for dipping. We also were served cold cuts, cocktail onions, small potatoes, cornichons, and of course bread. It was absolutely delicious. 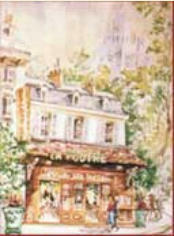 There are so many good restaurants on every block here in Montmartre -- we really enjoyed this particular one. But this one, maybe not so much -- we've heard that along with fondue, they serve the wine in baby bottles. Seriously, baby bottles. So I think we'll give that one a pass.